Refreshingly easy go-to summer cocktails like Raspberry Peach Mojitos and Blackberry Lemonade Spiked Slushies are just what those upcoming get-togethers ordered. I haven’t met a mojito I didn’t like and if they come with fresh fruit muddled up chances are I’ll order two! 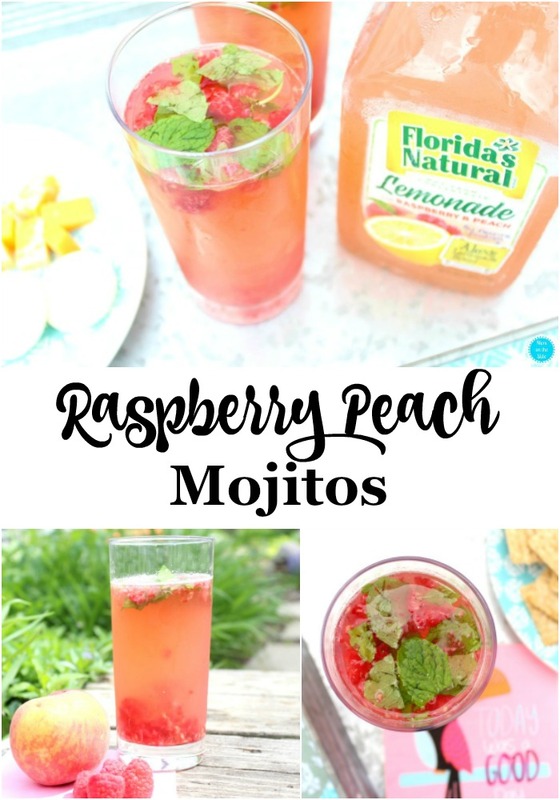 With fresh raspberries and mint leaves, these mojitos have quickly become a favorite. 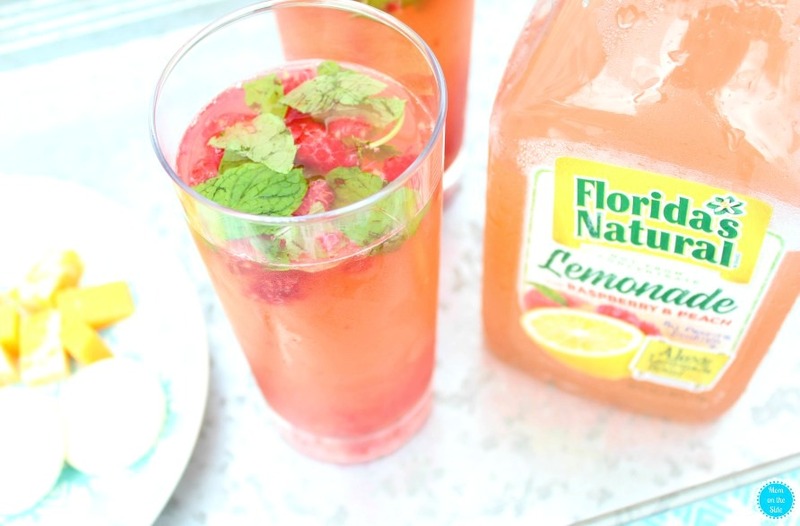 It doesn’t hurt that Florida’s Natural Lemonade makes them super easy to make, too! There are 6 delicious, refreshing flavors of Florida’s Natural Lemonade, each made with real ingredients (no high fructose corn syrup). I went with Raspberry Peach Lemonade for mojitos and Blackberry Lemonade for spiked slushies! 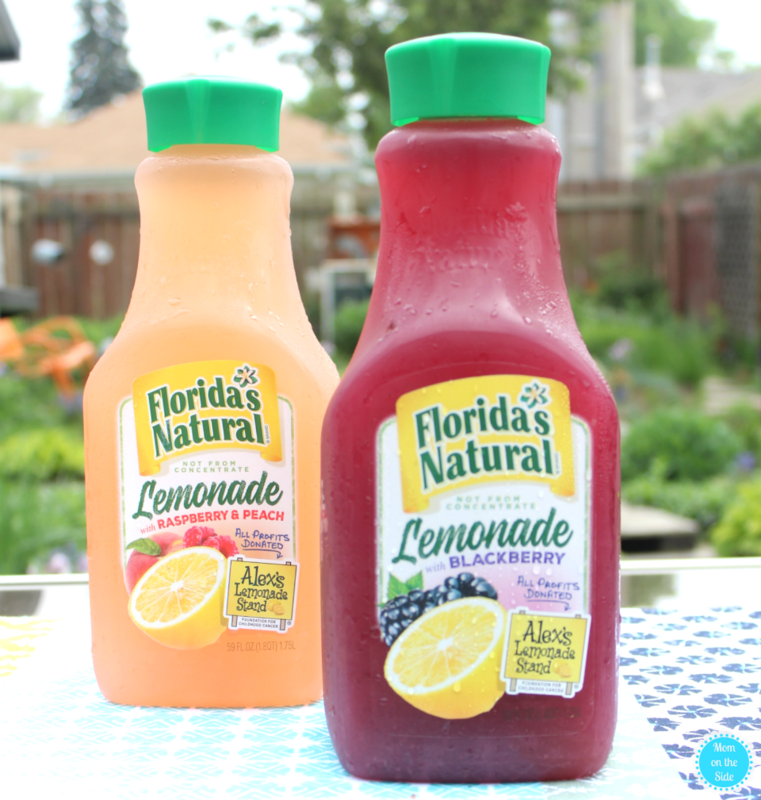 No matter what drink I mix or flavor I use, I love that 100% of profits from the sale of Florida’s Natural Lemonade goes to Alex’s Lemonade Stand Foundation! 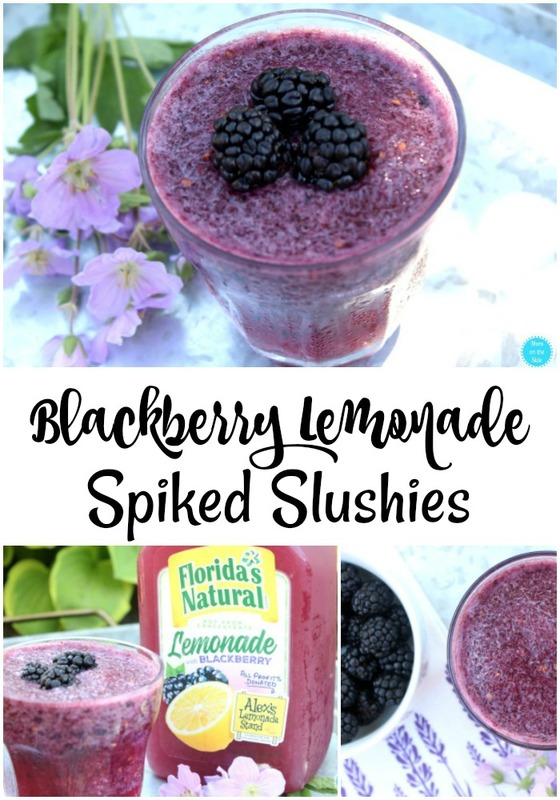 I enjoy mixing up delicious summer cocktails for myself or friends, like Blackberry Lemonade Spiked Slushies, and knowing all profits are donated to help kids fighting childhood cancer makes it extra special. If something as easy as picking up Florida’s Natural Lemonade helps make a difference, I’ll do it every time I’m at the grocery store. A spiked slushie is a great mixed drink for summer. 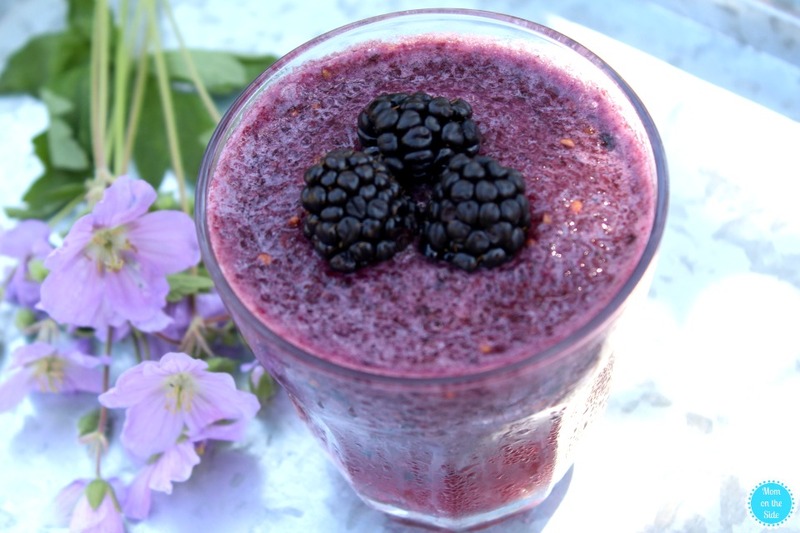 It’s cold and refreshing and Blackberry Lemonade Spiked Slushies have a delicious berry burst! The best part? 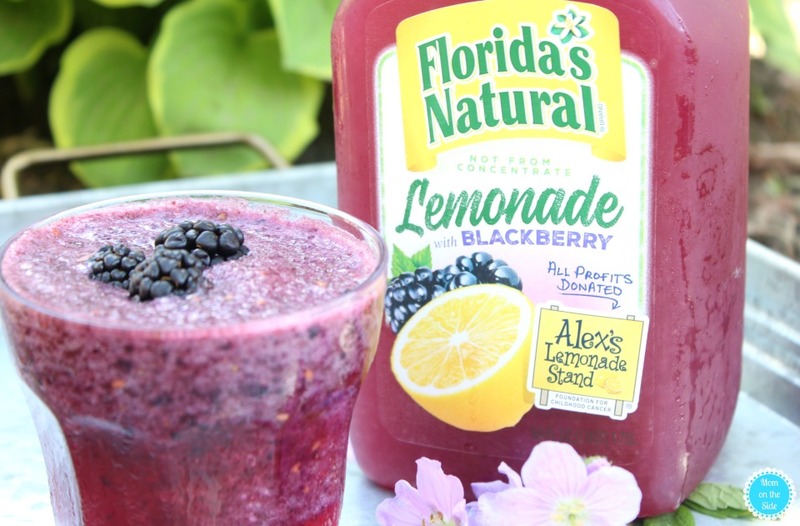 You simply put rum, Florida’s Natural Lemonade, ice, and blackberries in a blender for a few seconds and then sip away! 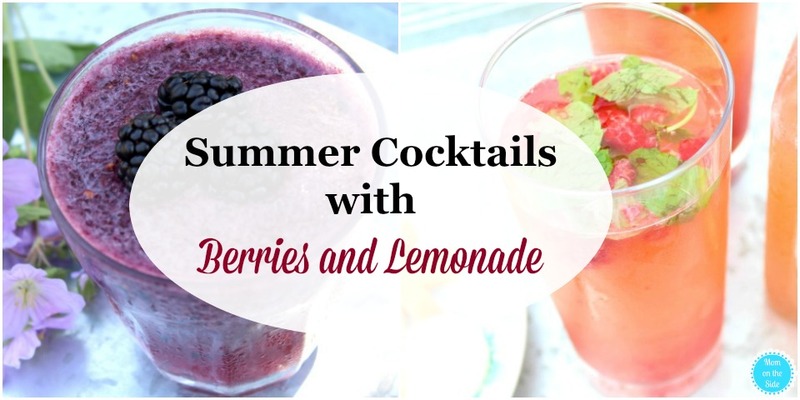 You can find recipes for summer cocktails below and save them for your next summer party! Place sugar, mint leaves, raspberries, and rum in the bottom of a tall glass. Muddle them together and fill the rest of the glass with lemonade. If you like ice, toss in a few cubes before adding the lemonade. Fill a blender with ice, rum, and lemonade and mix until slushie. Add in 6 Blackberries and blend for a few more seconds. Pour into a cup and place 3 blackberries on top if you’d like.